J.P. Heseltine (Lugt 1507); Henry Oppenheimer (sale, Christie's, London, 10-14 July 1936, no. 435; (Roland, Browse, and Delbanco, London); (sale, Christie's, London, 28 March 1972, no. 27, pl. VI); Mr. and Mrs. John H. Steiner, Larchmont, NY; gift to NGA in 1983. Exhibition of French Art 1200-1900, Royal Academy of Arts, London, 1932, p. 331, no. 657, Commemoration Catalogue, p. 128, no. 569. Renaissance and Baroque Drawings from the Collections of John and Alice Steiner, Fogg Art Museum, Cambridge, and tour, 1977-1978, no. 50. Oberhuber, K., ed. Renaissance and Baroque drawings from the collections of John and Alice Steiner . Cambridge, MA, 1977:50. 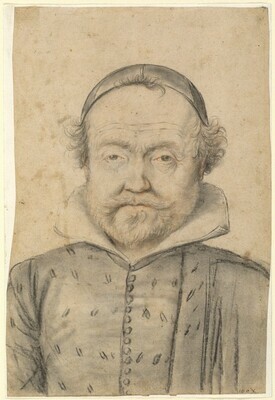 Goldfarb, Hilliard T. From Fontainebleau to the Louvre: French Drawing from the Seventeenth Century. Exh. cat. Cleveland Museum of Art, Cleveland, 1989, fig. 49a.